These followers of Edward Irving, the pastor of Margaret McDonald, kept moving up the timing of the Rapture so that it moved from the end of the Tribulation to the middle, and eventually to the beginning! They were NOT using sound principles of Biblical interpretation. Rather than taking a text in its context, as it was written, they spiritualized and allegorized the text to match their preconceived ideas! And it led to heresy. As a minister of the Church of Scotland, Edward Irving attended the prophetic conferences (1826-1830) held by Henry Drummond at Albury Park, England. When Irving first suggested the secret coming of Christ, the controversial idea split those in attendance into factions. Many Christian scholars of the time wrote against this new doctrine. 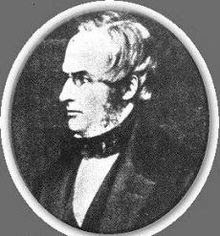 Robert Baxter was a Plymouth Brethren who, after a few years of his joining the group, left over controversy surrounding the secret coming. Robert Norton in 1861 wrote a book titled, The Restoration of Apostles and Prophets in the Catholic Apostolic Church.’ This was Irving’s movement. Interestingly, Norton took the view that the movement was a genuine work of the Holy Spirit. Yet Norton ALSO attributed the beginning of the secret rapture doctrine to the Irvingites and the visions of Margaret MacDonald. The question must be asked, Do you still believe in the pre-trib Rapture? Great blog! I have a copy of historian Dave MacPherson's comprehensive book "The Rapture Plot" which I obtained at Armageddon Books online and his book backs up everything you say about how the pretribulation rapture was developed and how, over many years, the fanatical British rapturists hopscotched from symbol to symbol to symbol in the book of Revelation (moving the rapture "basis" from the end of that book forward towards the beginning of it) so that those rapture groupies could "get out of" more and more of the tribulation! What a scream! Since Jack Van Impe bases his pretrib rapture on Rev. 4:1, I wonder if he knows how long it took for those 19th century rapturists to laboriously stretch forward their "basis," symbol by symbol, until it plopped down, exhausted, on to Rev. 4:1! Thanks for your great contribution, Lord bless. Thanks, fairmack! I'll have to check out those resources; sounds like more blog material to me! Yes, Rev. 4:1 has been the subject of much allegorical interpretation. I have a post that I'll do later on it.